Senior Madison Christy holds the UIL 6A State Third Place plaque. 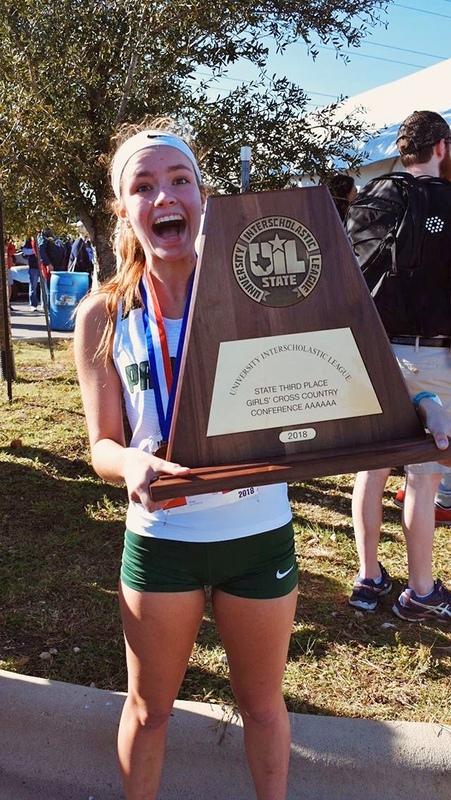 “We were hoping for a higher place than third, but being able to stand on the medal stand in our first year of 6A made all the hard work pay off,” Christy said. The team won first place in both the UIL District 9 and Region II meets in October.